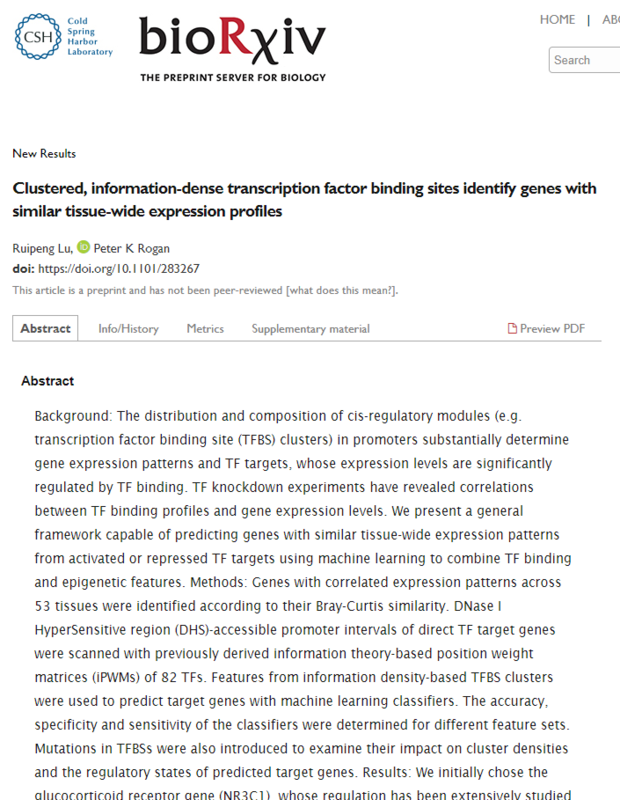 Clustered, information-dense transcription factor binding sites identify genes with similar tissue-wide expression profiles. BioRxiv, 2018. Written by: Peter Rogan on March 24, 2018.